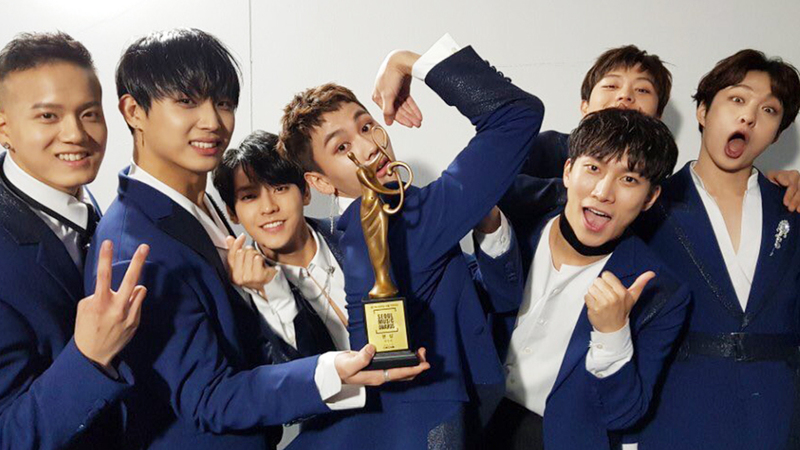 What Made BTOB Stop in Their Tracks Before Receiving Their Award at [27th SMA]? BTOB never runs out of ideas. The boys went up stage to receive their Bonsang award at the '27th Seoul Music Awards' that was held on January 25th. They were arriving before the award presenter when they came to a stop, forming a line with one member following another. With Eunkwang at the lead, the boys grabbed the arms of the member in front of them before doing an arm wave from the back. Eunkwang who received the end of the wave, then finally received their awards from actor Choi Taejoon, after giving everyone at site a good laugh. Watch their award receiving moment at the 0:48 mark in the video above!